The Life Fitness CLST treadmill is designed with high performing durability and a simple console. It has many entertainment upgrades. 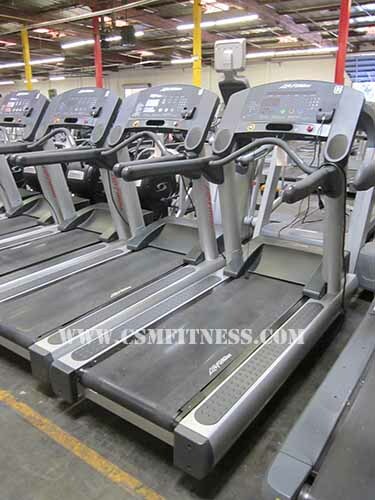 This treadmill offers 28 different workouts including 5K zone training. Workouts that automatically adjust the incline level and keep users in their target heart rate zone. This Life Fitness treadmill also includes iPod capability allows users to charge their iPod, manage their playlist and watch videos. It also includes heart rate monitoring hand sensors that are conveniently placed on the east to grip Ergo bar to provide walkers with the precise heart rate monitoring.